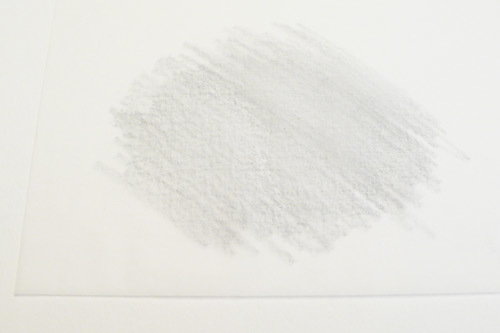 A rub transfer is a very useful technique in watercolor painting. Since watercolor is transparent, you always need to keep your sketch clean and light. 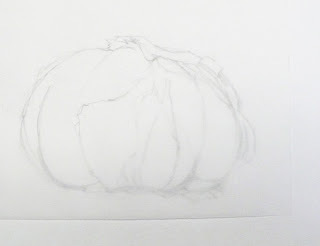 This becomes somewhat difficult to maintain once you have a really complex composition or subject to draw. 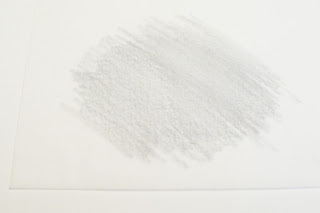 This transfer technique allows you you work out the drawing and make corrections to the drawing on another sheet of paper without worrying about keeping it clean and light. 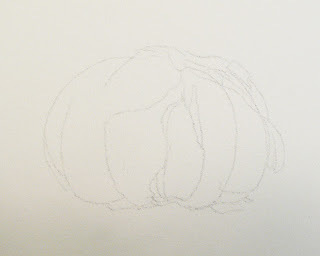 This is why a rub transfer comes in handy, because once you have completed the drawing you can transfer a very light image onto the watercolor paper. Another advantage of this is that if you mess up your watercolor painting, you still have the original drawing to transfer onto another piece of paper and start over again. The materials you will need are a 2B graphite pencil, tracing paper, drawing paper, and watercolor paper. 1. 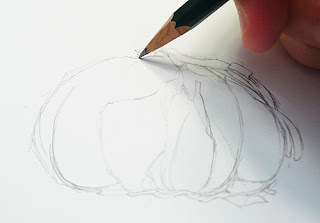 Finish your drawing on a piece of regular drawing paper. Todays sample is a bulb of garlic. 2. Put tracing paper on top of your drawing. 3. Cover the tracing paper with a 2B graphite pencil over the whole area of the drawing. 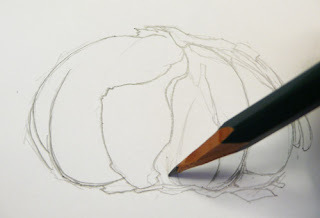 The reason for using a 2B pencil is because it is soft enough to smear across the surface of the paper but not so soft that it will smudge and dirty your watercolor paper. 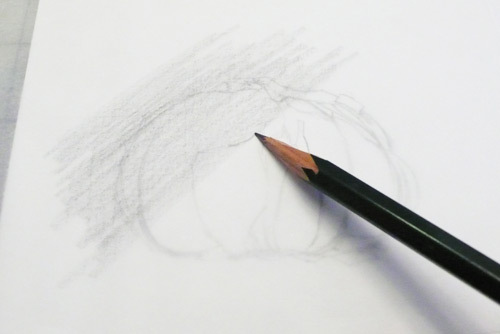 With pencils that are softer than 2B, it runs the risk that graphite will smudge around and ruin the tracing on the watercolor paper. 4. Turn the tracing paper around and put it on top of the watercolor paper. 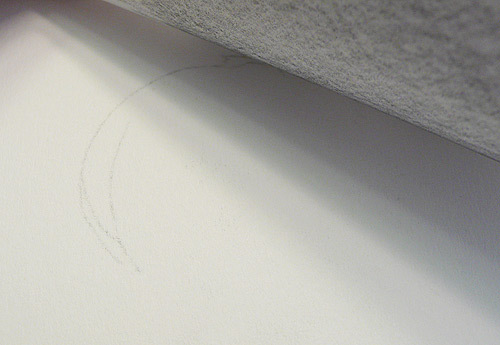 Make sure you have the side with graphite rubbing facing the watercolor paper. 5. 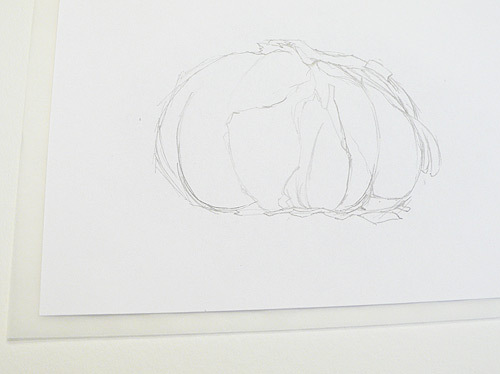 Put your drawing on top of the tracing paper. You can use paper tape to tape everything together to make sure that nothing will move one you. 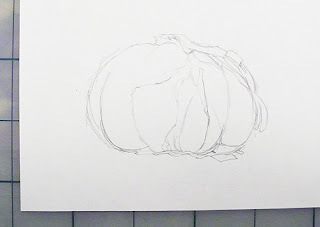 Press down hard enough to make sure that the graphite transfers onto the watercolor paper, but not so hard as to leave indentations on the paper. You could flip the edge of tracing paper over to check if it is transferring properly. 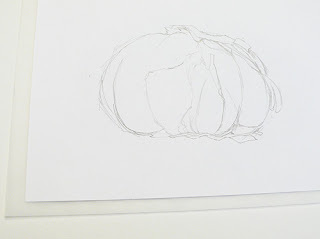 Be careful not to move the paper, so that it won’t be out of the position when you continue tracing. This is the finished look of the rub transfer on watercolor paper. 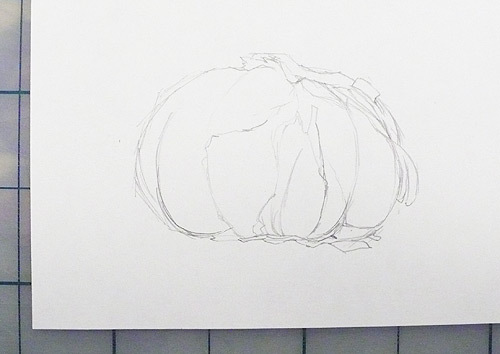 In this example, I was able to work out the drawing of of the garlic bulb without having to worry about ruining my watercolor paper. 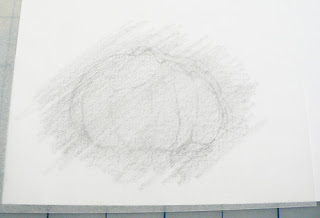 This is because I was able to transfer the image cleanly after the drawing was done using the rub transfer technique. Now, I am ready to begin painting.